I am the Customer Development Manager at Jacaranda. I have a passion for helping teachers with integrating Jacaranda’s digital learning resources into effective teaching practices. 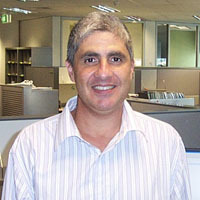 Prior to joining Jacaranda, I was a teacher and eLearning Coordinator at a large school in Brisbane. I have also worked as a consultant where I have assisted schools with developing professional development programs that focus on the integration of ICTs. I have presented at various conferences and have delivered professional development sessions for various educational organisations including the Australian Council for Educational Research. I has also written on ICT leadership – my article titled It’s about culture: how to really integrate ICT was published in Teacher magazine (published by Australian Council for Educational Research) in 2007.